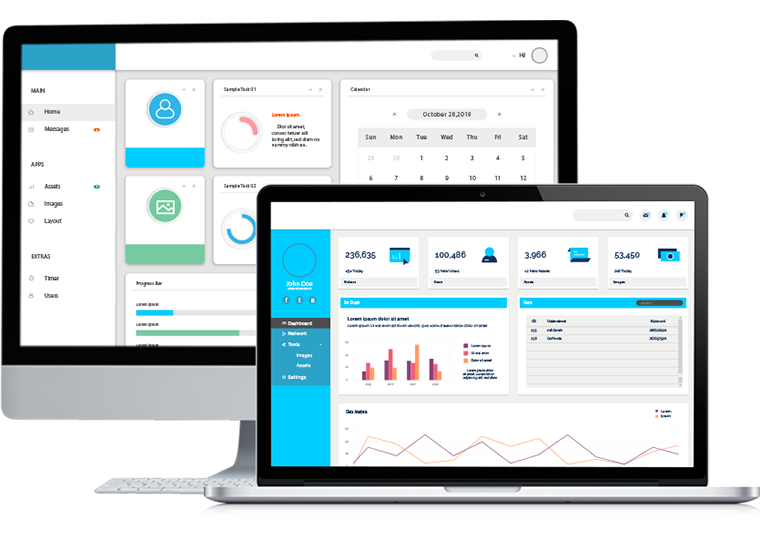 Capitalize on your marketing campaigns using a marketing automation platform of our digital experience platform. Increase customer engagement with your brand by enabling them with highly personalized and most relevant experiences. Customers interact with your brand from multiple digital channels such as website, mobile, emails, social media, and e-commerce. Each interaction has to be analyzed closely to understand the preferences of your customers and deliver them personalized experiences. Understand your customers in a better way and establish behavior driven communication with the help of our marketing automation solution to increase conversions. 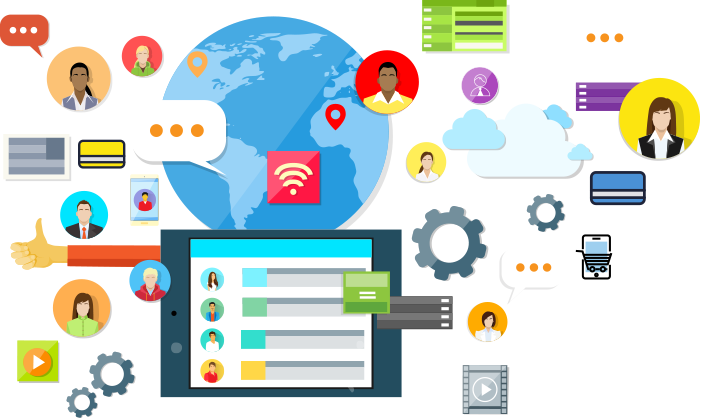 Empower your different marketing activities such as customer segmentation, email marketing, lead nurturing, social media marketing, landing pages, retention, and much more by integrating marketing automation platform into your existing workflow. Our marketing automation solution performs the entire cycle, starts from customer behavior tracking to sending the contextual content to them, by harnessing the potential of Content Management System and Customer Data Management. 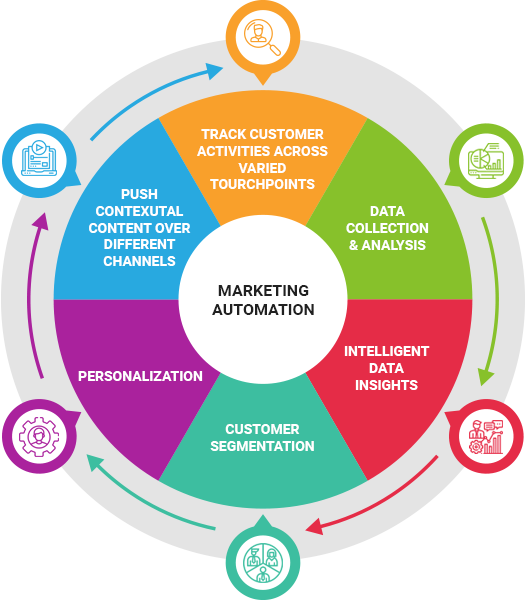 An advanced marketing automation enables you with automated segmentations as per unique interactions, customers, interests, demographics, and channel preferences. Analyze the activities triggered by your customers to offer personalized content to each of them in real-time. Keep an eye on your customers’ behavior across different touchpoints such as website, online store, mobile app, social media, organic search, paid search, emails, marketplaces, offline sources, & all the other channels. 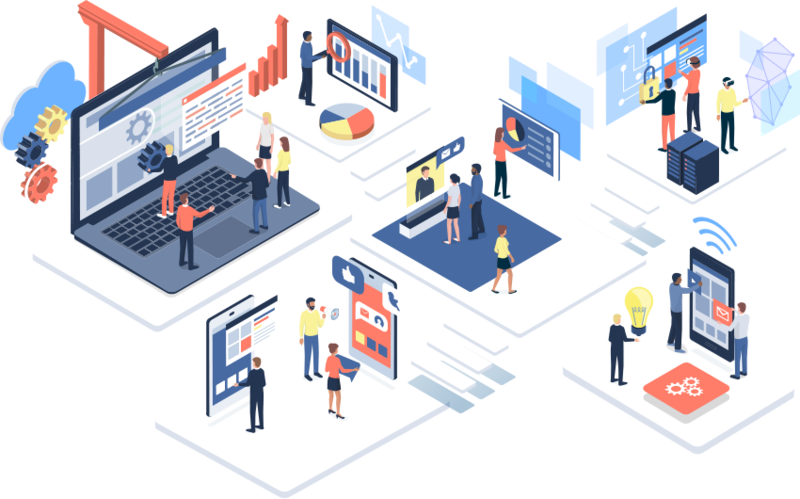 Collect every single customer interaction with your brand from different systems, devices & channels, and manage the data in a structured & meaningful manner using a single platform. Analyze the immense customer data in real-time and get actionable insights about your customer segments, profiles, historical ​​​​​​​behaviour, demographics, journeys, preferences, buying patterns, & needs. Bring your conversations with your customers to the next level by facilitating them with contextual offerings. Understand the intent and goal of each customer interaction. Increase conversions by defining a personalization strategy for every single prospect. Deliver highly relevant customer experiences in real-time by pushing right content to the right people at the right time through the right channel using our customer experience manager. Unveil hidden business opportunities by communicating with your customers and prospects on one-to-one basis using Artificial Intelligence and Machine Learning. Run automated marketing campaigns by defining the conditions for personalization in terms of which action will be triggered to which customers in which context. Earn-long term customer loyalty towards your brand by offering contextual experiences using our marketing automation platform. Tugboat had been already using a Pimcore based web application. They wanted to extend the functionality of the app by incorporating Pimcore V5. Credencys extended their existing Pimcore based application with new features for the DAM in the admin panel. 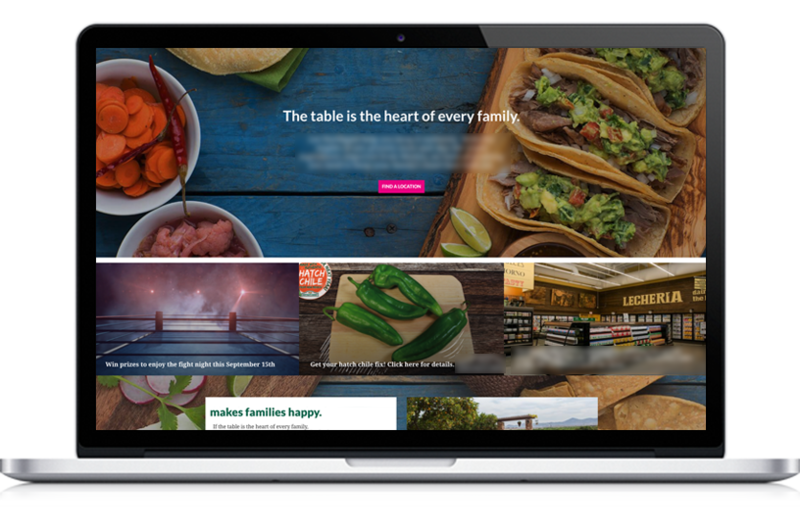 Credencys has developed a CMS website for the renowned supermarket chain having multiple stores across the USA, using Pimcore technology. It allows clients to update images and content anytime on-the-go, and publish them on the live website in real-time. The client wanted to develop a marketplace that connects service providers and customers, who deal with financial services. 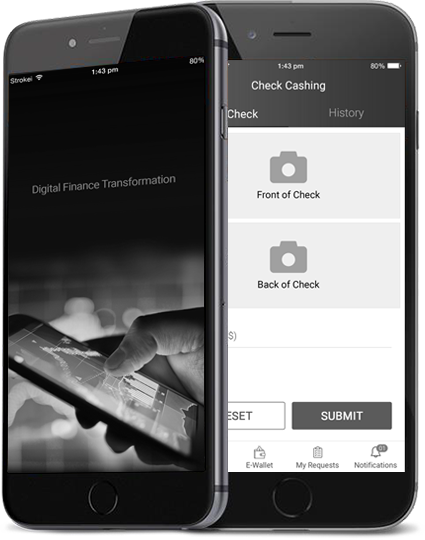 Credencys developed a mobile app that not only connects both the parties but also provides customized services to the end customers. Plan, automate, execute, and measure campaigns across every channel to deliver timely and contextual experiences. Leverage flexibility to set the frequency of your personalized marketing campaign delivery across all the customer touchpoints, any time. Drive customer engagement at each phase of the customer journey (acquisition, conversion, & retention) by understanding their needs. Boost revenue stream by offering product up-sell & cross-sell to your customers through automated marketing campaigns on varied channels.